Our Chief Engineer & Shop Foreman, Brian Fanslau, is an expert in the field of historic boilers and steam locomotives. The Boothbay Railway Village has both an R and S stamp with the capabilities of fabricating and repairing historic steam boilers. 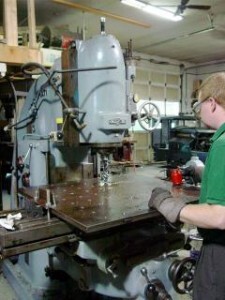 Our active machine shop offers consultations, professional advise and evaluations to other museums and private owners. Our ability to perform code work on boilers is unique in the museum field. 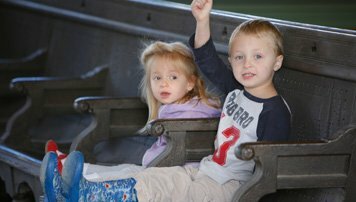 We are fortunate to able to keep our locomotives and those of other historic preservation efforts in proper operating condition. The funds earned through contract work in our shop directly support the Museum’s general operating fund.